Home > Sale 2008-2010 > Telephone Cable 30ft. 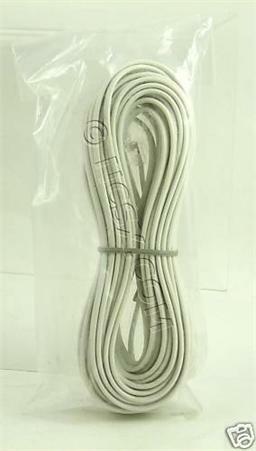 «©NCSX» New and factory bagged standard telephone cable which measures 30ft in length and is made of 26-28AWG wire. The telephone cable was originally packaged with the USA Dreamcast console.